June 1 through November 30 marks hurricane season in Florida. Being prepared before the storm is wise, but how can you protect yourself after disaster strikes? 1. Watch out for “ﬂy-by-night” contractors who take deposits and do not do any work. Never deal with any contractor soliciting work at your house. 2. Deal only with licensed and insured contractors if required in your county or city. Verify that the license is current and active by calling FIS at (727) 209-1595. We will check for current license requirements and insurances. 3. Ask for and check references of previous customers. 4. Get at least three estimates. Be certain the estimates are itemized and for the same work. 5. Avoid a contractor who asks for advance payment in full. Pay upon completion or as the work progresses. Always avoid paying in cash. 6. 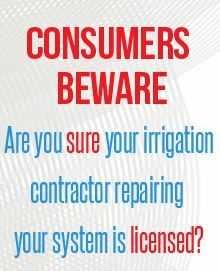 Avoid contractors who ask you, as the homeowner, to obtain the building permit, or state they can save you money by not obtaining a permit for replacement equipment. Remember, a 3rd party inspection to ensure installation was per building code is a service provided with the permit. It’s for your protection. 7. Beware of any contractor who tells you that extensive or structural repairs do not require a permit. 8. Take your time when signing a contract and consider asking a knowledgeable friend, relative or attorney to review it before you sign. Make sure the warranty information is included in the contract. 9. Require the contractor to supply a ﬁnal afﬁdavit indicating that all subcontractors and suppliers used on the job are paid in full. Ensure that the work is inspected by the building department before ﬁnal payment if a permit was required. 10. Understand that during a declared emergency, anyone who does work without a license may be subject to prosecution for a 3rd degree felony and fines of more than $5,000. Contact the State of Florida, Department of Business and Professional Regulation (www.myfloridalicense.com), your local building department or the FIS office (727-209-1595 or info@fisstate.org) if you encounter anyone soliciting your business that you believe should be but is not licensed.